Aiming for a Movie Deal for Your Book? Admit it: As an author you are dreaming of a movie deal. You might think getting a book deal with a publisher – don’t think getting a movie deals is easier! 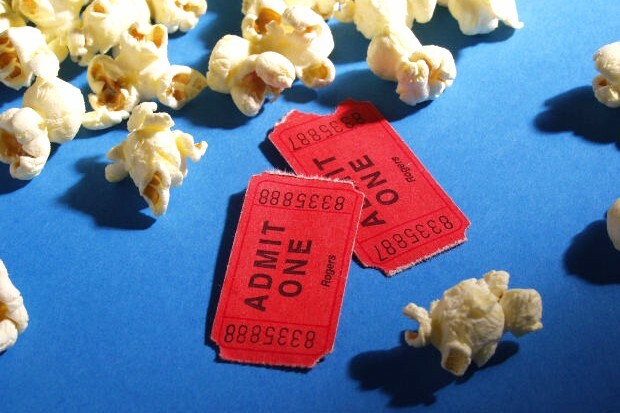 Here are some beginner insights into how movie deals work. Check out the links for more. Movie rights are part of sub rights or subsidiary rights – even so these rights are hard to sell. And if you get a foot in the door: Almost all production companies and film producers offer first an option for a film. He further explains: What can get optioned? Even more important is it to read this article by Kristine Kathrin Rusch “Steeling Intelectual Property” before you do anything. She explains in detail how authors can be tricked in movie contracts. Don’t become a victim and follow her step-by-step procedures! Do I need a film agent to make the option sale? Read all of Fred Rosen’s tips here and get an idea how much you might earn. “Most movie deals involve as many as a dozen decision makers. One of the best ways to get a movie deal for a novel (I presume your book is a novel) is to target the A-list actor or actress who would be the best person to play the role of your main character. Many A-list actors have their own production companies or in-place deals for a certain number of movies – and can sometimes (not always) pick which movies they’d like to be in. For most movie deals to get completed, though, there has to be key actors, a director, a screenwriter, and a producer committed to the movie. That’s why 90% of potential movie deals never get completed – because the package can’t be put together to sell the investors on funding the movie. Of those four key pieces, the easiest to target is the actor or actress, because most non-industry people know what movies have been made by actors and actresses. Plus it’s generally easy for a novelist to picture who should pay the key role or roles in a movie made from their novel. How do you get in touch with the actors you’ve identified as potential role players? You can try through their management company (agent or manager), via their personal website (if they have one), or sometimes even via a tweet to their @profile on Twitter. “Your first option is to find a literary agent to represent your book in the entertainment industry. Finding such an agent follows the same path used to find an agent for your book—research. To get a feel for the industry you’ll want to start reading industry trades, such as The Hollywood Reporter. You should already know about IMDb.com (Internet Movie Database), and the monthly subscription to IMDbPro.com has fairly up-to-date contact information. Identify the agent’s submission policy. It’s all about that first impression. Your second option is to produce your own movie. This means a substantial learning curve and working with a team of creatives. To start, you adapt your book into a screenplay, which is easier said than done. As a novelist you adjust your thinking because a screenplay only paints what needs to be visualized. Start reading IndieWire.com and FilmmakerMagazine.com for a feel of the industry. Attend film festivals to see independent films come to life. See if your state has a film office. Through all these new resources you may come across a screenwriter to work with. The Writers Guild of America is also a wonderful resource. Want to write the screenplay yourself? I highly recommend the software Final Draft. Marc Lund is an actor, screenwriter, director and producer. If I wanted to sell my book rights to Movie producers, How would I go about doing that? You would have to get yourself a Hollywood agent who believes that your book has a shot at a movie deal. Unless you are plugged into that world, have an agent or a book that has attracted some interest, your chances are pretty slim. Unfortunately there is no direct path to the movie world unless you happen to know actors, producers, directors and those deeply involved who can get a movie made. I have inherited the film rights to a world famous, best selling (on Amazon) science fiction novel. While I realize the worth of the property is only what a studio is willing to pay, I’m wondering what is a good starting point in the negotiations? I’m not interested in back-end royalties, ancillary merchandising, or alternate distribution modes, but rather a 1 price, get it over with deal. Is $5 million totally absurd? $3 million? Are there other avenues to explore outside the Hollywood morass? I would suggest you find a Hollywood agent who is willing to negotiate a deal. Before you start counting numbers you had better see if the interest matches your expectation. There are numerous lists on the internet of agents, producers, actors and others in the movie business. I wrote a book ten years ago based on a real event–a horrific mass murder that occurred in GA in the 1800s. It sold extremely well but is now out of print. (It is considered a rare book on Amazon). Recently a screenwriter tracked me down and says he wants to convert my book to a script for movie. After the book went out of print I did not renew my agent’s contract. I have no idea who this screenwriter is and how to negotiate. I have no intentions of signing over the rights to just anyone. Any advice? Get a lawyer who deals with intellectual properties. Never give rights away. It may be the screenwriter is willing to pay,( even a modest amount might do it) with a big bonus at the back end if he sells the script for a production. Put a time limit on it. Say a one year option, renewable for another year. If he wants the rights for nothing, walk away. It doesn’t matter if the book is out of print or not, its still your property. As for the agent, he could make a claim depending on the old contract. A lawyer will know. Try to set a price with the lawyer in advance. It could be worth it, since the book’s subject matter, which caught the screenwriter’s eye may have a lot more value than you think. I have written a series of books and the first one has been published. The publisher wrote me that my stories are ‘movie stuff’. How do I go about marketing these books as a miniseries or movies? Find yourself an agent in Hollywood. Unless you have personal contacts in the film or television industry, the process is difficult. You might try writing a one page summary of your work and send it off to Hollywood agents, producers, actors, directors etc. There are also numerous scouts out there looking for material. I don’t mean to be discouraging, but unless you are approached the chances of your work getting noticed can be a labor intensive chore. Of course, you could get lucky and find in your networking or readership base someone who might get you to a producer. Recently my novel “The Family Bones” came out in print. Today, I received two separate letters, one from a major film company, and another from a major agency in Los Angeles inquiring about movie rights for my book. I am astounded. I referred them both to my agent, but what would you suggest is the going rate. These are both legitimate contacts. There is no going rate. If its a producer with a studio deal the chances are it will be more than an independent would pay. They’ll probably ask for a one year option with renewal terms. Get as much as you can and be sure your agent knows how to negotiate with them. They will option thousands of books and very few will get made. It is indeed a leg up, but you are dealing with seasoned hustlers and you must protect yourself. Dozens and dozens more questions and Warren Adler’s answers. Check them out! Interesting reads. BTW: Warren Adler is the author of the famous movie: “The War of Roses”. Now, what’s an author to do? First of all: BE PERSISTENT! Don’t stop to send out queries. Know that it is not easy to get a movie deal. Read and research everything you can find about movie rights and contracts. Perfect your query letter to movie editors, directors, A-class actors and producers. Explore each avenue and if you get an offer, first google this company carefully, together with the word complaint. Do use the help of a movie agent and a contract lawyer, at least for your first movie contract, even if it takes a percentage of your option.